This hands-on project provides step-by-step instructions for building a vertical axis wind turbine in secondary classrooms. The 17-page construction plans may be freely downloaded and are organized for first-time builders. Comprehensive background information on wind energy and renewable energy are provided. Registered teacher-users also have access to supporting lesson plans. All of the materials are readily available in hardware or grocery stores. 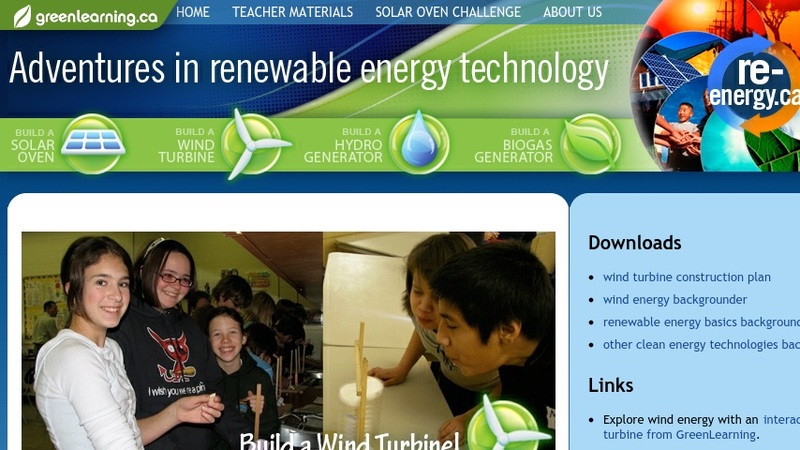 This resource, which meets multiple national science standards, was developed to spark students' interest in learning more about renewable energy sources and the science and engineering principles that underlie the harnessing of renewable power. Editor's Note: Wind turbines work by using an internal generator to convert the mechanical energy of the spinning turbine shaft into electricity. This particular project is modeled after the Savonius rotor system, which uses uses drag -- not lift -- to capture energy for making electricity. Although it isn't as efficient as a conventional horizontal axis turbine, it is much easier to build.